Posting a track as public means anyone can listen to your track, and it will show up on your SoundCloud profile page and your followers’ Streams. Private tracks are available only to you Private tracks won't show up on your public profile and can't be searched for within SoundCloud. A ‘scheduled’ track (only available to Pro Unlimited users) will remain private until the date which you have specified in the settings after which it will go public. To change the sharing settings of your track, go to the edit page and select either Private, Public or Scheduled on the Basic Info page. 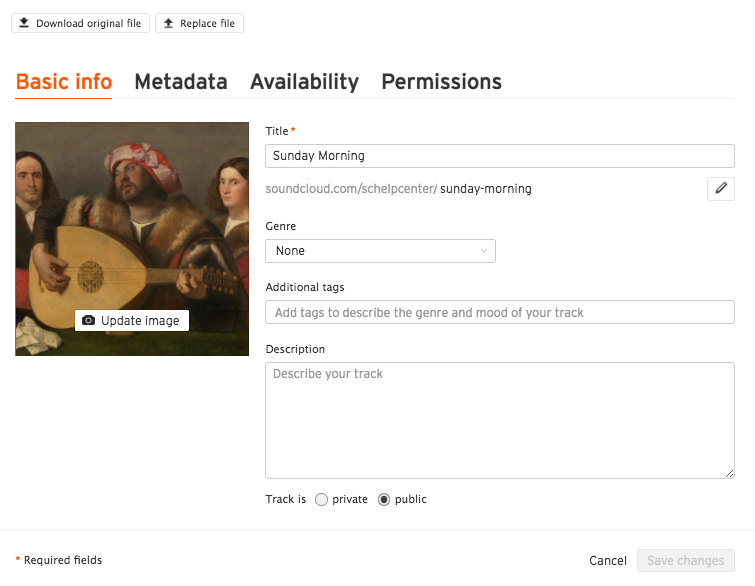 You can change the privacy setting for multiple tracks at once through your Tracks page. If you're on a mobile device, you can also edit your track's privacy settings on the SoundCloud Pulse app by going to the track's edit section and editing the "Make track public" section.